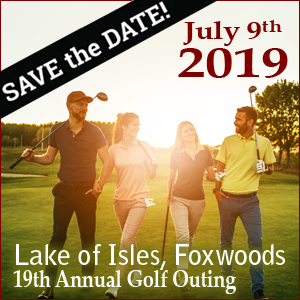 Join us each year in early July for a day of shotgun golf, fun and networking at the beautiful Lake of Isles Golf Club at Foxwoods Resort & Casino, as we raise money for the NEWFDA Scholarship Fund. Test your golf skills (and luck) as you enjoy a day socializing and competing with colleagues and friends on and off the course. We boast some of the most amazing raffle and door prizes of any industry golf event, and host many unique contests including a hole-in-one competition to win a new BMW! Beginning at registration you’ll have a grand breakfast buffet, then as you approach the back-nine, lunch is delivered personally to you on the course. Rounding out your late afternoon, enjoy a delicious dinner as you claim your winnings from the day’s events. This is a can’t-miss event that you’ll be talking about all year…until the next one!